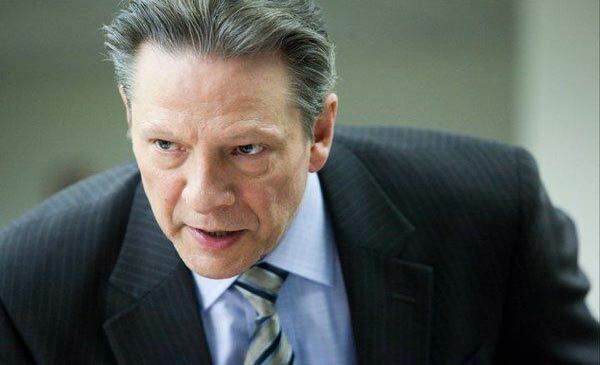 Kansas City native Chris Cooper made a name for himself with supporting performances in both mainstream and indie films. 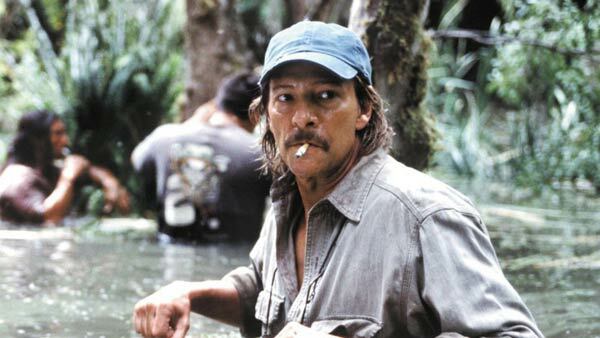 Largely known as a character actor, he’s put together a remarkable career and even won an Oscar for Adaptation in 2002. The well-respected Mizzou alumni (yes!) recently showed off his comic chops as the dastardly Tex Richman in The Muppets. He’s considered a serious guy, so watching him rap with dancing puppets is something to see. When I think of Cooper’s films, my thoughts go most frequently to his roles in John Sayles' films. Those excellent roles gave him the chance to stretch his skills before he ventured into commercial projects. There were far too many excellent choices to fit within this short list. Cooper even brings weight to roles in silly clunkers like The Patriot, which says a lot about his talents. The 61-year-old consistently does great work, and I’m sure there will be plenty of strong performances on the way in the future. 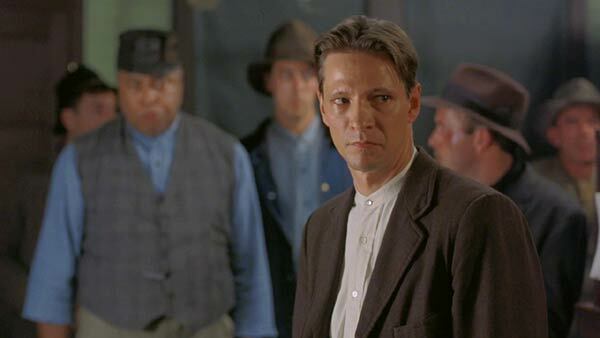 In his first movie role, Cooper plays the lead in John Sayles’ excellent drama about actual events in the West Virginia mining town. The story takes place in 1920 and involves a coal miners’ strike where African Americans and Italians are brought in as replacement workers. 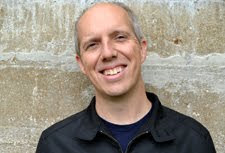 Joe Kenehan is a union organizer trying to bring the groups together against the powerful force. Cooper gets us engaged in his efforts against superior odds to avoid the impending disaster. It’s surprising that it’s his first performance and immediately reveals his acting skills. 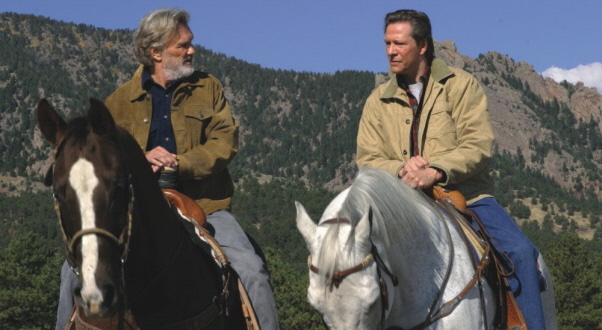 Cooper’s star began to rise in 1999 with the success of American Beauty, where he played Colonel Frank Fitts. I’m partial to his other main role from that year in Joe Johnston’s October Sky. While I’m usually resistant to corny movies that tug at our heart strings, Homer Hickam's story hits the right notes. The space-obsessed teen (Jack Gyllenhaal) escapes the difficulties of the mining town by building rockets with his friend. 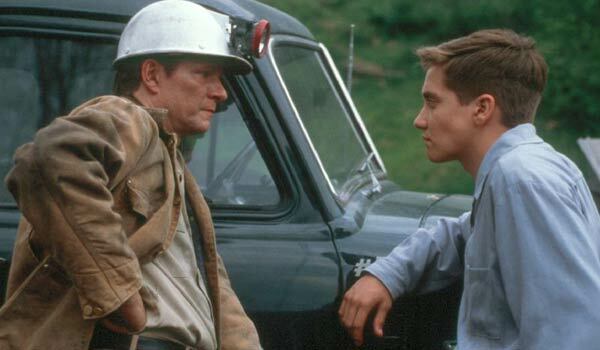 Cooper plays his father Joe, who runs the coal mine and wants his sons to follow his path. The stern role could easily be a cliché, especially when his feelings change, but it never feels that way. Cooper makes the headstrong guy understandable even while we disagree with his tactics. It’s nearly impossible to watch this movie and not feel better about life, even for a cynic like me. Speaking of cynicism, John Sayles’ fictional depiction of a rising conservative senator paints a bleak picture of modern politics. He’s obviously satirizing the Bush administration, with Cooper playing the dim-witted figurehead Dicky Pilager. Despite the painfully obvious name, it’s a sharp take on what it takes to be a candidate. Cooper rarely plays dumb characters, but he does a remarkable job showing the mental limitations of this ambitious guy. While critics dismissed the film as a political takedown, Sayles is doing more than just attacking Bush. He’s showing the way the system ticks regardless of which party is in power. Cooper never hits a false note in a tricky role that could easily drift into obvious comedy. I’m not a big fan of Charlie Kauffman’s meta take on the writing process, but I can’t deny the fact that it includes some great performances. Cooper depicts a much different guy than his usual character and is nearly unrecognizable as a fictionalized version of horticulturalist John Laroche. Sporting unkempt hair and a silly mustache, Cooper disappears into the role that won him an Oscar. His screen time is fairly limited, but he makes quite an impression and outshines Meryl Streep and Nicolas Cage. The meandering story picks up whenever he re-appears, though even Cooper can’t save the messy ending. Cooper was the right choice to play Robert Hanssen, an FBI agent who sold secrets to the Russians. Judging by this list, it’s clear that he excels at playing real-life characters. Billy Ray’s 2007 film is essentially a battle of wills between Cooper and Ryan Phillippe’s young agent. While he dominates nearly every scene, that fits with howy Hanssen didn’t see the danger from the newbie. Although it contains little action, this movie stays intense because Cooper delivers such an engaging character. The cat-and-mouse game makes us wonder if there’s really any foul play, especially because Hanssen is such a by-the-book soldier. It’s one of Cooper’s most enigmatic characters and plays a huge role in the film’s success. Cooper was still unknown when he starred as a Sheriff investigating a murder in one of John Sayles’ best films. It’s one of his most accessible movies, and the main reason is Cooper. He conveys the anger that still remains towards his father (Matthew McConaughey) years after his death. As we learn more about the mystery and Sam’s past, this hatred becomes a lot more understandable. There are plenty of great performances in this movie, but it only works if we’re interested in Sam’s journey. Cooper reveals the combination of intensity and heart that would soon take his career to much greater heights. We couldn't disagree more on two main points in this (which we debated on Twitter at the time)... I love THE PATRIOT and think his role is great (albeit small) and I think ADAPTATION is a brilliant movie altogether and he is just one of the many reasons for that. Still enjoyed this list, even though we disagreed on those parts haha - I love the OCTOBER SKY vote here. I thought of that one after we talked about it on Twitter! Justin, I can bend a little bit on Adaptation, which I do need to revisit again. I know that a lot of people love it, so it's possible it might seem better on another viewing. However, I'm going to hold my ground on The Patriot. That movie is so silly! I didn't consider it too strongly because it's a small part and not a good film for me. We'll have to agree to disagree on that one. Glad to hear that you're an October Sky fan; I knew we'd agreed on one of these! I do like the discussions either way. Dylan, I actually like most of Kauffman's work, particularly Eternal Sunshine. Synecdoche is an intriguing movie, and Being John Malkovich is great too. Adaptation is really the exception for me. Breach was a big surprise; I remember it showed up during a dead zone of movies too. Cooper is so good in it, and even Ryan Phillippe isn't bad. This was definitely the case where there were more than five good choices like we talked about last week. It was tough to narrow them down! Unfortunately only seen Adaptation but have meaning to get round to Lone Star and Silver City. Never even heard of Breach but sounds worth a look. Pete, I don't think you can go wrong with these movies, especially Breach and Lone Star. If you get the chance to check them out, let me know what you think! Thanks Ruth. If you get the chance, I think the others are worth seeing, particularly Lone Star. I haven't seen The Company Men yet but have heard decent things. My daughter loves The Muppets, so I've seen it (and heard Cooper on the soundtrack) many times. It's a lot of fun! Definitely underrated. Whenever I see him he's always playing second fiddle. He's like the male version of Catherine Keener. I agree that Cooper often takes a back seat to the stars, but he's carved out a pretty great niche lately. It's also cool to see him get such meaty roles like Lone Star and Breach where he's the focus of the story. 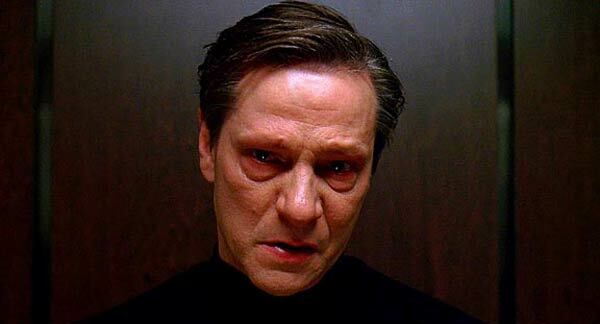 I love Chris Cooper and I love your picks. 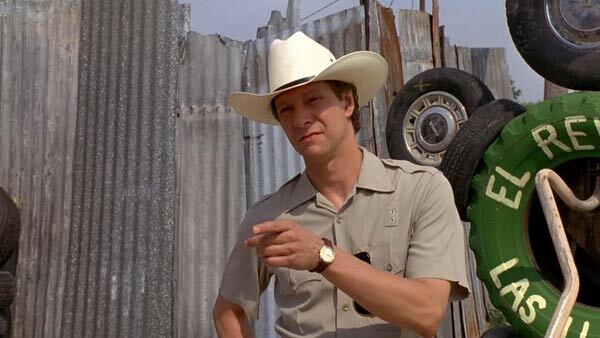 Lone Star really is tailor-made for him, isn't it? I am a fan of his Frank Fitts, but no argument from me about any of your choices. Thanks Alex. Fitts was really close to the list and I can't argue with putting him in there. I think my fandom for Sayles and the early space era put Matewan and October Sky in there. He was definitely the right choice for the Lone Star lead, especially at that stage in his career. Such a great movie. I totally forgot about 'Breach'. I have to revisit that with my wife - right up her alley. I've only seen it once, and I think it slipped under the radar. It's definitely a movie that I need to revisit. Cooper is great in it, and it's such an intriguing story.